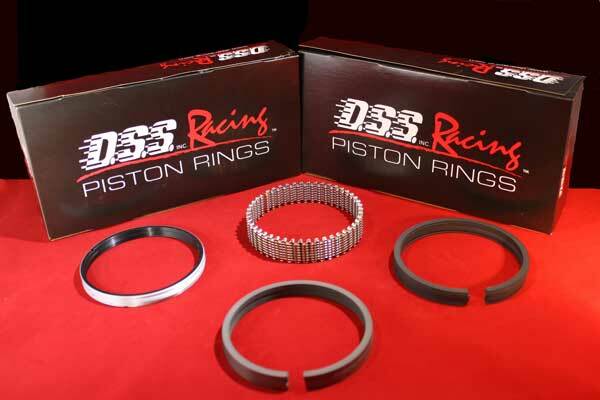 5.3 Big Bore Stroker Ford DSS FX Series Forged Piston (For use in 3.750" stroke x 5.850" rod) -13cc Dish with large valve reliefs for PI & Twisted Wedge 2V applications, 1.190" comp hgt, Includes .927" full floating pin with double True Arc pin locks, 1.5-1.5-3.0 mm low drag ring groove, patented "X Groove" skirt design, Approximate Compression Ratio: (44cc Head = 11.61 to 1) (50cc Head = 10.68 to 1) (53cc Head = 10.27 to 1). MADE IN THE U.S.A.MADE IN THE U.S.A. 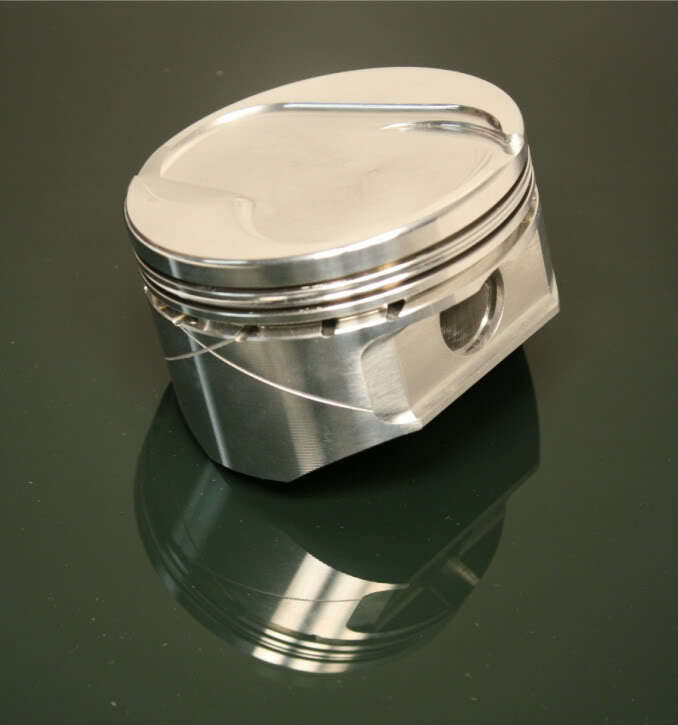 FORGED FROM PREMIUM 2618 ALUMINUM ALLOY.